Beautiful illustrations of different Sausage Dogs by Glasgow-based illustrator Fiona Purves. "Sausages" is a series of pet images that any dog lover will cherish. 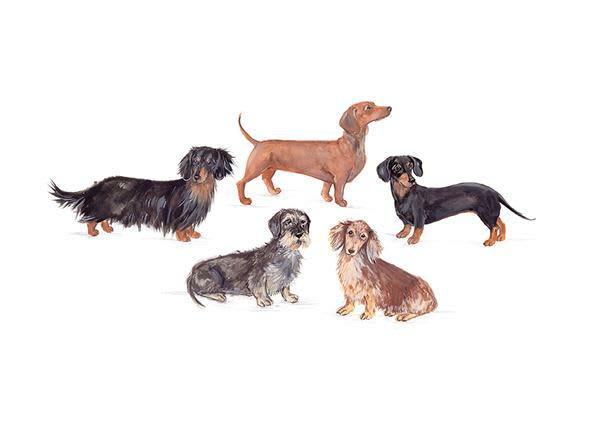 The print includes long-haired, short-haired, dapple and wire-coated dachshunds.